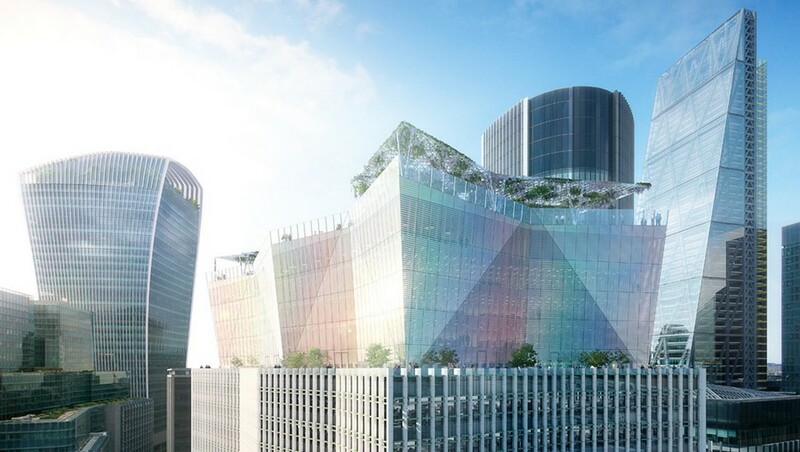 10 Fenchurch street is located in the heart of the City square mile, the new large office development has a closed loop ground source system installed to generate a simultaneous heating and cooling system. The cooling load for the retail units is 260kW with a Heating demand of 200kW this is achieved by a closed loop system installed to a depth of over 260m, due to the small foot print of the building. The 17 bore holes were drilling within a 6 week program using a single drilling rig. The ground source simultaneous heating and cooling is obtained using 3 – Aermec 4 pipe heat pump units achieving an overall COP of 6.5 when in heating and cooling mode.